it’s been an emotional trip for the filipinos since the late president’s death last saturday (august1). and again we are drawn together to pay respects to the woman who is now billed as the mother of democracy. today is her funeral and that means last night would be the last chance for me to see her. last night i had to come from makati and decided to take the trains to intramuros in order to avoid the horrendous traffic. it’s been drizzling and i decided to buy a folding umbrella off the sidewalk vendors for p50. sulit na sulit ang payong. later i would meet titatems coming from ateneo at cabildo st inside the walled city. 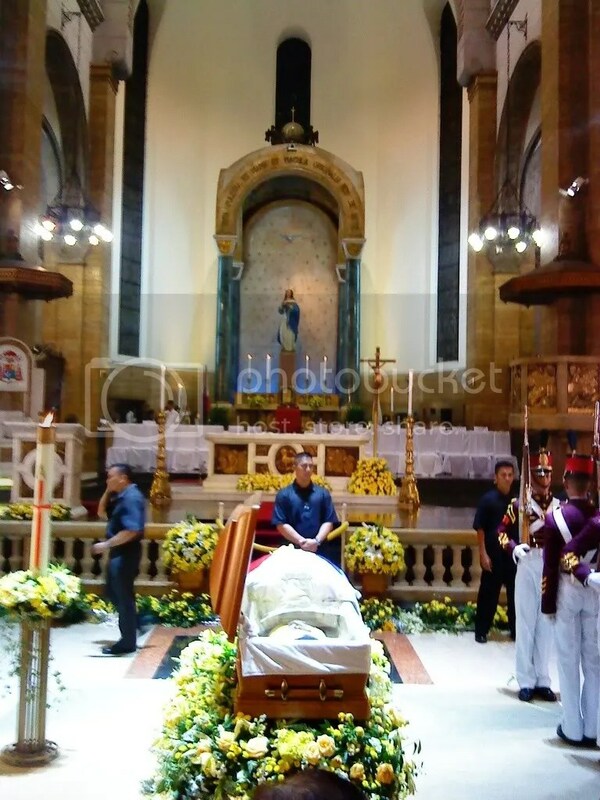 i with tatems and a few friends of hers made our way to the manila cathedral by 8.30pm. 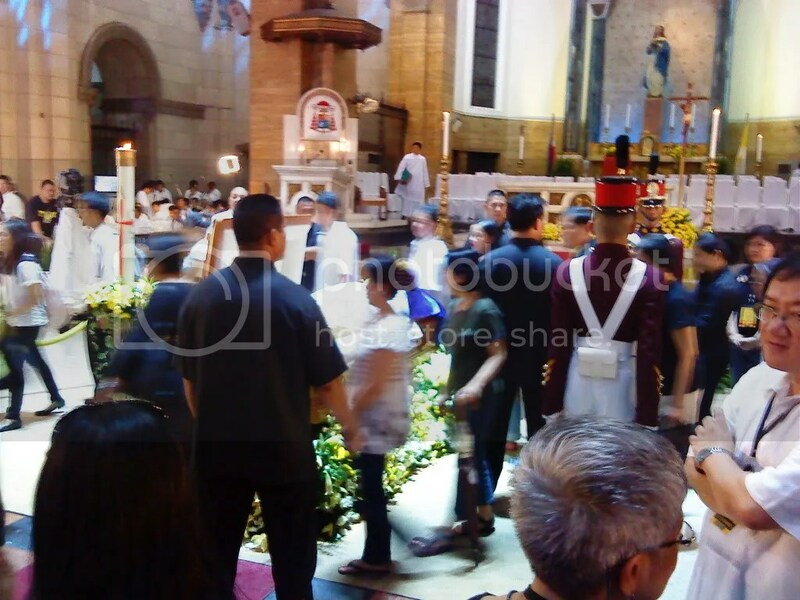 met at the gate by members of the aquino family and ateneo friends, we skipped the overwhelming line of people that snaked intramuros waiting to also bid their goodbyes to the beloved former president. we caught half of the necrological service that night during the father’s prayer. the choir and orchestra was at best, moving, very solemn and very emotional. the church was awashed with cyan and white lights from hundreds of pars and moving heads installed for the services, while cranes with remote controlled cameras hovered over the mourners. production at its best. the video coverage was at par with diana’s and the pope’s. a bit over the top perhaps, but nothing less for celebrating tita cory’s death and life.